As the leaves begin to change color and the air becomes cooler, we realize that another hectic holiday season is upon us. While Halloween isn’t normally as labor intensive as Thanksgiving or Christmas, the cost of candy, costumes, and decorations can quickly add up. It also doesn’t have to just be about the candy. Halloween can be a fun time spent with family baking delicious treats, creating original, story book costumes, and designing made-from-scratch decorations. Make your own treats. I know this may not work for everyone, but if you’re attending a Fall Harvest Carnival hosted by your church or neighborhood then making you own treats can be a cheaper and healthier alternative. It also doubles as a fun activity for the kids. 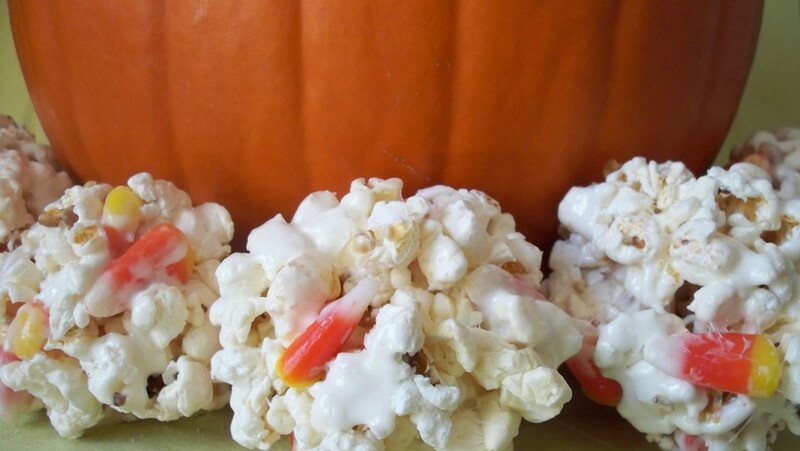 A few suggestions for treats include candied apples, themed cupcakes, candy corn popcorn balls, or trail mix. Make your own costumes. Sure, you could go the easy route and drop a couple of bucks at the local big chain store. One drawback though is that your child ends up with a generic plastic costume looking like every other kid in the neighborhood. For a few dollars you can create an original, affordable costume with your kids and have a blast doing it.Our family usually designs costumes based on storybook characters that our children are reading. This has included Where the Wild Things Are, Angelina Ballerina, Curious George, and Alice Wonderland. Most of the supplies can be found in our dress up box, craft bin, or through a trip to the local thrift store. The total cost for the Angelina Ballerina costume was $1.99 for two pairs of pantyhose, one of which was stuffed to make a tail and the other we still use for church. You also don’t need to know how to sew to make a good costume. We’ve found that a tube of liquid stitch or craft glue goes a long way. Remember your costume doesn’t have to BE functional it just has to look functional. Make your own decorations. The outdoors can provide you with everything you need to create fun Halloween or Fall decorations. Pine cones, acorns, nuts, leaves, and twigs can be gathered into centerpieces or collages. Remember those decorations you used to make in elementary school? Tissue paper ghosts and pompom and pipe cleaner spiders are just some of the tried and true classics. Plan ahead for next year. Stock up on costumes, decorations, and accessories the days after Halloween. Retailers are looking to make way for the next seasonal decorations so expect some good discounts. Nikki is a stay-at-home mom of three girls. A former picky eater turned chef, Nikki shares recipes and frugal ideas on her blog Coupon Cookin’. I hope your not handing out homemade treats on halloween. I would never kids eat a home made treat not in a wrapper. I know sick people can still be sick and inject candy with things but the wrapper is a good rule. We used to only trick or treat at family and friends homes. No strangers. Wow, this post came at a good time. I have a big group of friends that take turns having get togethers every couple months. The Halloween party was supposed to be at another friend’s house about an hour away, but they had a death in the family today and I was asked tonight if I could host it instead. OHMYGOODNESS!!!!!!!!!!!! Talk about last minute plans – hosting a party for 30 people on an extremely limited budget. PANIC lol Everybody will be bringing food to share, but I’ll need to hit up my pantry for a few things (thank goodness for stockpiling) and clean like a mad woman. The decorations idea will come in handy, thanks! First time visitor to the site. I am sure I will be returning. Thanks for the tips.